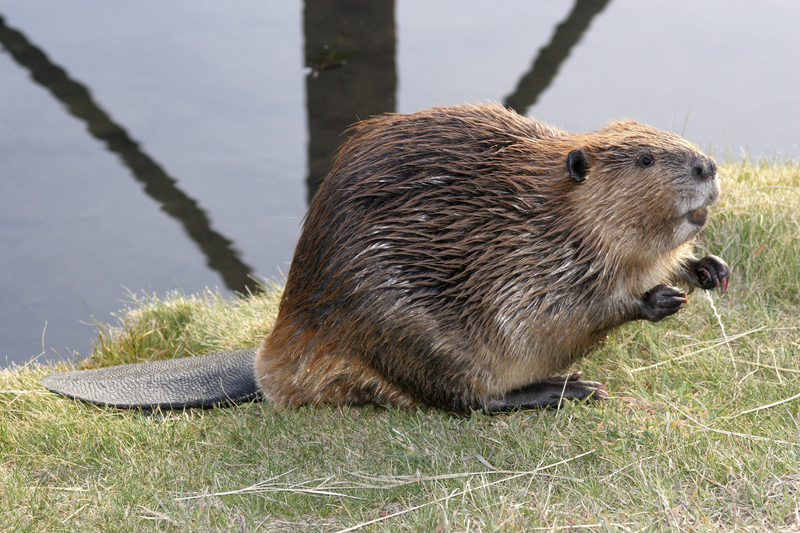 Beavers are about 3 ft (0.9 m) long; their flat, thick tail is about 1 ft (30 cm) long. They weigh 30-70 pounds (14-32 kg). Like all rodents, their teeth continue to grow their entire lives. Their ears and nostrils can close while the beaver is underwater. While swimming, transparent eyelids protect their eyes. Beavers can close their mouth by closing a flap located behind their teeth, allowing them to chew while holding their breath. beaver is hunted by many animals, including coyotes, wolves, bears, lynxes, and wolverines. Minks, owls and hawks prey upon young beavers. Beavers cannot move very quickly on land, so their best defense from predators is to retreat into the water and go into their lodge.